For the purpose of preparing this assignment, we have selected two companies, PARINGA RESOURCES LIMITED and NEPTUNE MARINE SERVICES LIMITED. Both the above-mentioned companies are listed on the ASX stock exchange and belong to the marine sector. Paring Resource Limited is one of the most renowned energy providing company which is based in United States. It is considered as one of the highest producing company of the production of both types of coals which has both highest as well as the lowest cost in the manufacturing regions of the United States. The company is engaged in the provision of several unique kinds of services. This company is mainly engaged in the exploration of US marine oils. The company is also involved in providing various other kinds of services which are related to high complex energy. Most importantly, it is involved in the Buck Creek Mining Complex economics development which is located in the Illinois Coal Basin. We have downloaded the annual report of the company and analyzed the several important aspects which are related to the equity and various other elements are also discussed in this assignment. Neptune Marine Services Limited is one of the major companies in the provision of integrated services which also involves apart from inspection, repair and maintenance solutions to the oil and gas and the various other sectors of marine as well as renewable energy sector. The services that are provided by the company meet the requirement solution needs which are basic needs of the companies. The Company is also involved in the provisioning of various other services as a complete solutions package and individual solutions. The Company is having its headquarters in Perth. The other services which are provided by the Company to the clients includes total solution package also. The various heads under which the company is registered as a corporate are Subsea UK, IMCA, Subsea Energy Australia and the Petroleum Club. As per the requirement of this assignment we have downloaded the annual report of the company and discussed the various aspects which are considered as important in detail. [ CITATION Abd17 \l 1033 ]. 1. Equity Share Capital – Equity share capital of a company is the total amount of face value of the shares issued to the shareholders of the company. The shares are generally issued either at discount or premium or even sometimes at par. In case of public listed companies there are various provisions to be followed which are laid down by stock exchange also. There are various sub heads under this head like authorized share capital, subscribed share capital, issued share capital and paid up share capital. In case of Paringa Limited, the number of share issued by the company is 102 million shares and no change in the overall structure of the equity shares of the company has been noticed. In case of the other company, i.e., Neptune Limited, no change in the overall equity structure have been observed either, but the company is involved in making share based payment to the employees of the company which are paid at fair value, from which we can observe the involvement of equity element in such share based payment to the employees. 2. Retained Earnings – Retained earnings are the accumulated amount of earnings of a company till date. The retained earnings are reported in the annual report for the entire period of a company’s existence. The company may accumulate the profit of every year instead of distributing the same among the members, i.e., the shareholders. The retained earnings increase the worth of a company. When the amount of retained earnings is negative it is called accumulated losses, which occurs when the company is incurring losses instead of profits. The existence of retained earnings affects to a great extent the dividend paying capability of a company. In case of Paringa Resources, we have observed that there were huge losses incurred by the company, due to which the company did not pay any dividend to its shareholders during the year. In case of Neptune Limited, we have witnessed that the company has paid interim dividend during the year but has not paid annual dividend, since the company has accumulated losses. This is considered the reason behind non declaration of annual dividend to the shareholders. 3. Other Free Reserves- Free reserves are considered to be general reserves which the company can utilize for any purpose since no specific elements are attached to these reserves, hence the name free reserves the various things included in the free reserves are the amount of shares forfeited, share premium received etc. In case of both the companies no such free reserves were created since in case of both the companies there were accumulated losses and losses were incurred in the current year as well. 4. Non-Controlling Interests – Non controlling interests are minority interests, in simple terms, these are amount of shares held by other shareholders of the subsidiary of the holding company. We have observed in case of both the companies that both the companies were involved in acquisitions under business combinations, in respect of which there were certain non controlling interests of the subsidiaries of the above companies in their annual report. From the above tabular representation we can observe that Paringa Resources have issued share during the year since there is an increase in the Equity of the company. There are accumulated losses and the amount of reserves has increased during the year as compared to the last year. From the above representation, we can observe that in case of Neptune Limited, there were no changes in the equity of the company as compared to the last year. There is an increase in the accumulated losses of the company as compared to the previous year since the company has incurred loss during the year and also there is a change in the reserves of the company. From the above tabular representation we can observe that there are lot of difference between the debt and equity position of both the companies. Paringa Human Resources have higher debt and equity as compared to that of Neptune Limited. The debt – equity ratio of Paringa Resources is higher than Neptune Marine Services. Since lower debt equity ratio is always preferred so we can say Neptune has better D/E ratio. [ CITATION Edd04 \l 1033 ]. This covers the inflow and outflow of cash from operating activities; these are the transactions which occur in the ordinary course of business. These have the effect of either increasing or decreasing the overall amount of cash of the company. Some instances of these types of transaction includes payment of cash to creditors, cash receipt from debtors, operating expenses which are paid in cash, interest payment and various other current liabilities etc. In case of Paringa Resources, we have noticed negative cash flow from operating activities; the reason might be the payment of large amount to its creditors whereas in case of Neptune Limited we have observed a positive cash flow from operating activities[ CITATION Als10 \l 1033 ]. The company various other kinds of operating activities such as cash receipts from customers, receipt of interest, payment of interest, payment of income tax, payment to suppliers, and all the operating activities taken together has resulted in a positive cash flow of $4,940 and that is not the case in respect of the Paringa Resources Limited[ CITATION Gra18 \l 1033 ]. These are those activities which involves cash inflow and cash outflow from various investing activities of the company. When a company has huge amount of funds lying idle, they tend to invest such funds in order to earn returns on such funds to increase the net worth of the company. The various kinds of activities which are included under this head are purchase of securities, investment in securities and other joint ventures etc[ CITATION Gul18 \l 1033 ]. We have observed that Neptune Limited has acquired various plants and properties during the year and has also disposed few of them. During the year, the company has also acquired certain intangible assets. Hence, the resulting cash flow from this activity is negative amounting to $916[ CITATION Ant85 \l 1033 ]. Paringa Resources Limited on the other hand has also acquired certain plants, properties and equipments during the year. Moreover, we have also observed payment for certain deferred considerations. During the year there was also payment for exploration of the assets evaluation for the company. This has resulted in a negative net cash flow from the investing activities amounting to $ 8575. So, we have observed that the cash flow is negative in case of both the companies from investing activities. [ CITATION Kus18 \l 1033 ]. These are the activities which involve cash inflow and outflow from financing activities that are of capital nature and affect the financial position of the company. Some examples of such kind of transactions are share issue or issue of debentures, long-term debt repayment, debenture redemption, interest payment, receipt of interest etc. During the year Neptune Limited has paid interim dividend to its shareholders and has also repaid the borrowings, received deposits this has resulted in the net cash flow of $5,125[ CITATION Bog17 \l 1033 ]. During the year, there were two financing activities in which Paringa Resources was involved which includes the receipt of proceeds from issuance of shares and the payment of costs relating to issue of shares have resulted in a positive cash flow from financing activities amounting to $48,128. So, we can conclude from the above analysis that the cash flow of Paringa Resources is better than Neptune Marine Services[ CITATION Coa17 \l 1033 ]. From the data given we can analyse that in case of Paringa Resources, the cash flow from the operating as well as the investing activities have been negative in all the three years. This negative figure was reduced in the year 2016 but has increased again in 2017. We have also observed a steady growth in the company’s financing activities in all the three years with a net positive cash flow[ CITATION Dan95 \l 1033 ]. All the activities taken together the company is generating a positive cash flow in all the three years. However, the increase in the cash flow is not stable; the trend of increase is somewhat lower in 2016 and too high in 2017[ CITATION Del04 \l 1033 ]. The management need to look into this matter to evaluate the rate of increase and work towards making it stable[ CITATION Sik10 \l 1033 ]. On the other hand, there are positive cash flows from operating activities in cash of Neptune Marine Services Limited and both the financing and investing activities generates negative cash flow in the years 2017 and 2016, but in 2015 there were positive cash flow from financing activities. In an overall basis the company is generating positive cash flow in all the three years and the trend of growth is somehow constant. Although the company has positive cash flows but the management is required to look for ways of increasing the same, especially in acse of each activities[ CITATION Ric95 \l 1033 ]. 1. During the year in case of Neptune Limited, there were foreign currency transaction which has adversely affected the income of the company. The company has provided in its income statement the net income or loss from hedge funds also. These incomes that does not form part of the basic income statement of the company[ CITATION MOR88 \l 1033 ]. 2. In case of Paringa Resource Limited the gain or loss that the company has earned or incurred from the foreign exchange transactions have been considered in the other comprehensive incomes which has a great impact in their financial statement [ CITATION Yad18 \l 1033 ]. During the year, Paringa Limited the company has incurred huge losses due to which the company has not paid any taxes and so we do not have any statement in that reference. [ CITATION Eis17 \l 1033 ]. But same was not the case of Neptune Limited, the company has paid all the taxes and has disclosed all the relevant information required to be disclosed in this regard. We have presented below a table containing the tax details of Neptune Marine Services Limited for the past three years[ CITATION Vie17 \l 1033 ]. 1. Journal of Accounting 3. Antle, R. & Smith, A., 1985. Measuring Executive Compensation: Methods and an Application. 2. Alsagoff, N., 2010. Microsoft Excel as a tool for digital forensic accounting. 1. Abdullah, W. & Said, R., 2017. 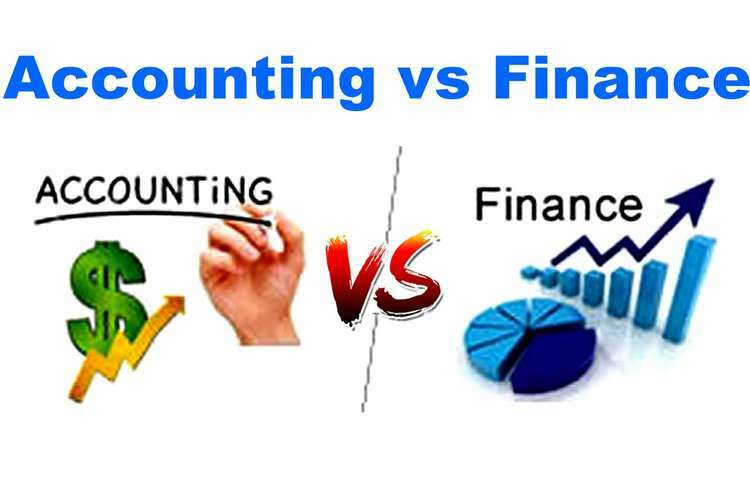 Religious, Educational Background and Corporate Crime Tolerance by Accounting Professionals. State-of-the-Art Theories and Empirical Evidence, pp. 129-149.Research , 23(1), pp. 296-325. 4. Boghossian, P., 2017. The Socratic method, defeasibility, and doxastic responsibility. Educational Philosophy and Theory, 50(3), pp. 244-253. 5. Coate, C. & Mitschow, M., 2017. Luca Pacioli and the Role of Accounting and Business: Early Lessons in Social Responsibility. s.l.:s.n. 6. Dan, S., 1995. The benefits of activity-based cost management to the manufacturing industry. Journal of Management Accounting Research, Volume 7, p. 167. 7. Delone, W. & Mclean, E., 2004. Measuring e-Commerce Success: Applying the DeLone & McLean Information Systems Success Model. International Journal of Electronic Commerce, 9(1). 8. Eddy, C., F. & Warlop, L., 2004. The Value of Activity-Based Costing in Competitive Pricing Decisions. Journal of Management Accounting Research, Volume 16, pp. 133-148. STRATEGIES FOR 9. Eisemann, T., Parker, G. & Alstyne, M., 2017. TWO SIDED MARKETS. [Online]. 10. Gray, D., 2018. 'Extraordinary turnaround': Big miners pushing ASX towards 10-year high. The Sydney Morning Herald. 11. Gullet, N., Kilgore, R. & Geddie, M., 2018. USE OF FINANCIAL RATIOS TO MEASURE THE QUALITY OF EARNINGS. Academy of Accounting and Financial Studies Journal, 22(2). 12. Kusolpalalert, A., 2018. The relationships of financial assets in financial markets during recovery period and financial crisis. AU Journal of Management, 11(1). 13. MORGAN, G., 1988. ACCOUNTING AS REALITY CONSTRUCTION:TOWARDS A NEW EPISTEMOLOGY FOR ACCOUNTING PRACTICE. Accounting, Organizations and Society, 13(5), pp. 477- 485. 14. Richard, B. & Stephan, H., 1995. The negative effect of an accounting standard on employee welfare: the case of McDonnell Douglas Corporation and FASB 106. Accounting, Auditing & Accountability Journal, 8(3), p. 12. 15. Sikka, P. & Willmott, H., 2010. The dark side of transfer pricing: Its role in tax avoidance and wealth. Critical Perspectives on Accounting, pp. 342-356. 16. Vieira, R., O’Dwyer, B. & Schneider, R., 2017. Aligning Strategy and Performance Management Systems. SAGE Journals, 30(1). 17. Yadao, J., 2018. Forensic accountants and big data.